Situation in eastern Ukraine remains tense. 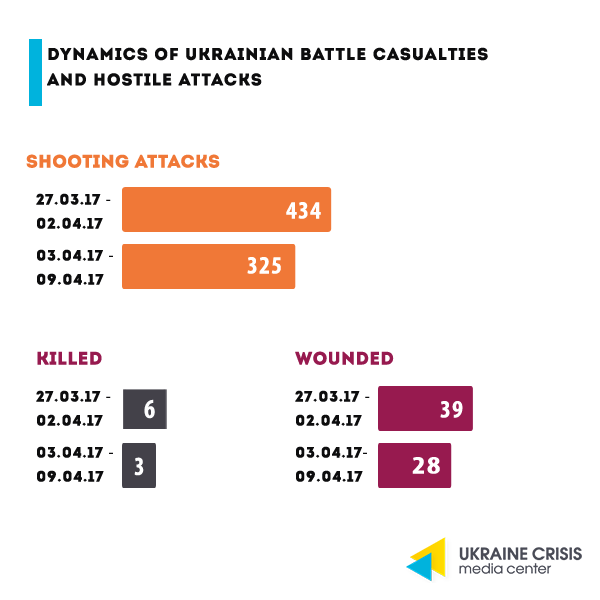 Nevertheless, there is a slight decrease in the number of attacks that combined Russian-and-militant forces made from the temporarily uncontrolled areas. OSCE. Monitors of the OSCE Special Monitoring Mission (SMM) state that the number of attacks in Donbas decreased by 20 per cent in April, said Alexander Hug, First Deputy Chief Monitor of the OSCE SMM. Hug said the number of mortar and tank attacks as well as the use of prohibited weapons had considerably decreased as registered by the OSCE monitors. Swap of prisoners. Donbas militants confirmed the location of just 50 hostages out of 121 ones listed by Ukraine. Ukrainian side is aware of the places where 70 hostages are being held including both civilians and military, said Iryna Gerashchenko, Ukraine’s representative to the humanitarian subgroup within the Trilateral Contact Group. To remind, Russia-backed militants demand to free 600 persons among whom are the ones who have nothing to do with the conflict in Donbas as well as those who do not wish to get swapped. Seized companies owned by Akhmetov. Effective March 16, 2017 Metinvest group of companies owned by oligarch Rinat Akhmetov terminated contracts with workers of the companies that remained in the uncontrolled areas of Donetsk and Luhansk regions. According to Metinvest out of more than 20 thousand workers in the uncontrolled areas just a little bit more than 400 persons agreed to move to work to other facilities of the group. “Anniversary” of “LPR” marked. 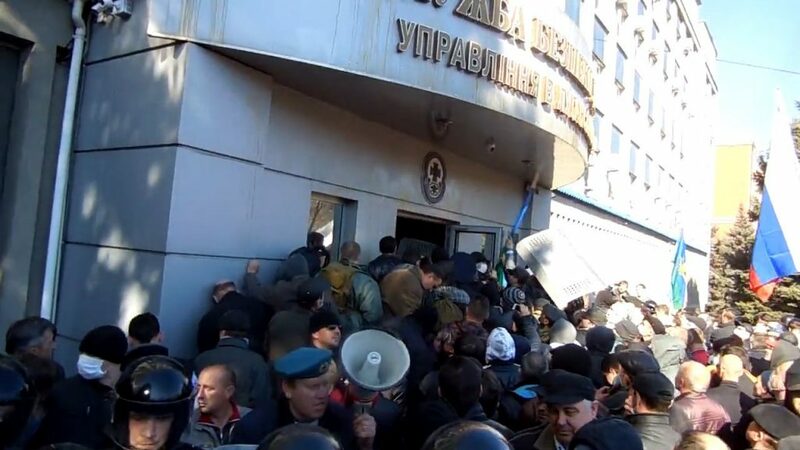 Three years ago, on April 6, premises of the Luhansk office of Ukraine’s Security Service were seized. Next day, the people in control of the office recorded a video calling to hold a referendum, otherwise threatening with “open confrontation”. Currently some “LPR” “officials” call the seizure of the premises of the Security Service the day when the “Luhansk People’s Republic” was founded. Valeriy Bolotov, first leader of the “LPR” died on January 27, 2017 of a heart attack in his Moscow apartment. One of the versions says he was poisoned. Gennadiy Tsypkalov, one of the persons behind the seizure of premises of Ukraine’s Security Service, second “prime-minister” of the “LPR” was detained in September 2016 and charged with attempting to make a “coup” in the “LPR”. He was found dead in Luhansk prison in September 2016. His ally Oleksiy Karyakin, former “head” of the “LPR parliament” claims that the presumed suicide of Karyakin was staged. Forced mobilization in the “DPR”. 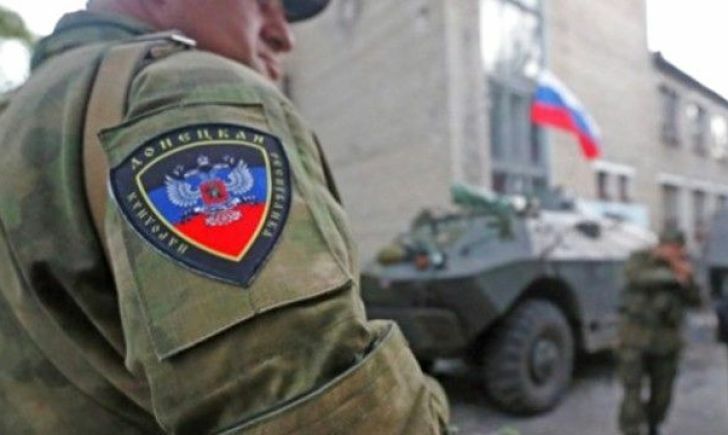 “DPR” militants do not let out of the territories that they control men who do not have a certificate issued by the local “military enlistment office” confirming that the person has undergone “military registration”. According to the local group “Debaltseve online” the certificate is being requested both on exit to Russia as well as on exit to the Ukraine-controlled areas. Administrators of online group mention that de-facto authorities intend gathering the students and workers of the state-owned companies aged 18-55 for forced “training” in trenches. “Mobilization” is likely to touch upon the workers of other companies in the occupied areas. President of Ukraine Petro Poroshenko claimed support to the US airstrike that hit an air base in Syria in response to the use of chemical weapons. Poroshenko had a phone conversation with the US Vice President Mike Pence, presidential press-service reports. “Petro Poroshenko also voiced support to the US actions set to prevent further military crimes of the Bashar al-Assad against civilians in Syria,” the report says. Ukraine’s Foreign Affairs Ministry also supported the US airstrike. The Ukrainian side notes that the use of chemical weapons is prohibited by international law and is a war crime while responsible for these actions need to be held liable. The UK, Germany, France and the EU supported the US actions on the whole. Russia and Iran criticized the US. On April 10, Head of the National Bank of Ukraine, Valeriya Gontareva filed a resignation note, she is to remain in office until May 10, 2017. Gontareva voiced hope that her successor will be politically independent. Resigning early. According to Ukraine’s Constitution the Head of the National Bank of Ukraine is appointed by the Verkhovna Rada (Ukraine’s Parliament) for seven years based on the President’s suggestion. Gontareva was appointed on June 19, 2014. Why is she leaving early? Version of the National Bank Head. According to Gontareva she is resigning of her own will. She says to have completed her mission by kick starting reforms in the central bank. Investigation of the National Anti-Corruption Bureau of Ukraine. 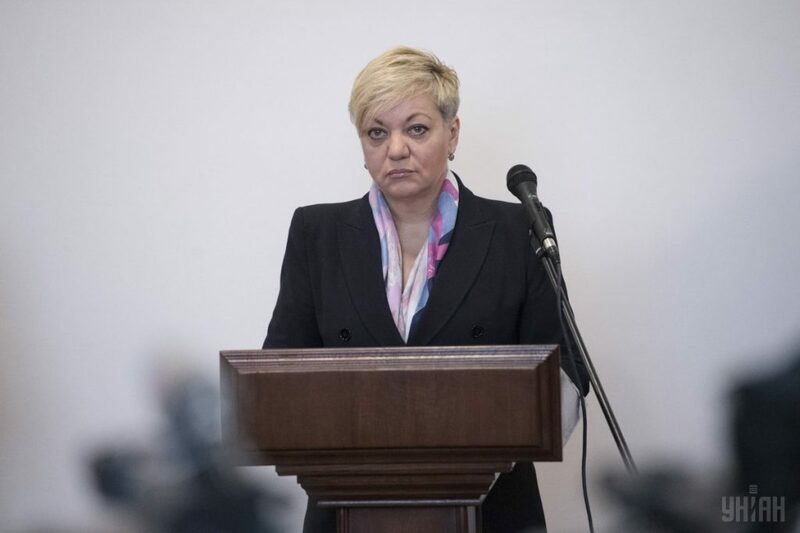 Resignation of Gontareva may be connected to the investigation led by the National Anti-Corruption Bureau of Ukraine (NABU). On March 29 NABU detectives conducted searches in the National Bank. According to the NABU head Artem Sytnyk the searches pertained to the National Bank management. NABU actions took place as part of investigation into the abuse of office by the National Bank staff in favor of the third parties (commercial banks). Cases of banks refinancing by the central authority that involved multi-million sums are also in focus of the investigation. NABU made note of money transfers abroad that involved large sums and were disbursed to refinance some banks. Losses incurred from such actions may amount to billions of hryvnia. Experts point at the fact that Valeriya Gontareva is a business partner and a friend of Ukraine’s President Petro Poroshenko, that’s why her possible arrest and prosecution may have a negative impact on the position of the country’s leadership team. Travel ban issued to Yuliya Samoylova, who was to perform at the Eurovision Song Contest in Kyiv representing the Russian Federation is not a single case. Radio “Krym.Realii” researched the issue. Over the past three years, Russian artists who traveled to Crimea from Russia and thus violated the Ukrainian legislation were banned from entering Ukraine. Since Crimea was annexed in 2014 travel restrictions have been issued for about 140 persons. Over this time, Ukraine’s Security Service has made only one exception – for singer Natasha Korolyova to attend the funerals of her grandmother in Ukraine. Russian theatre producer Yevgeniy Polovchenya said that top Russian artists may lose up to 80 thousand US dollars due to travel ban to Ukraine. IMF’s new tranche and memorandum: what are the priorities? 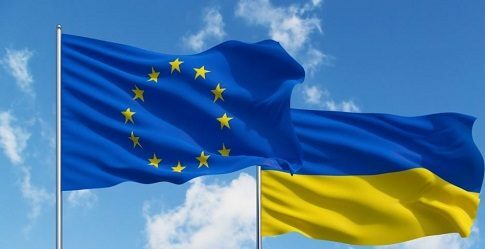 Last week, Ukraine finally received the fourth tranche within the International Monetary Fund loan. It thus became possible for the government and for the President to report on the positive reform course in Ukraine. However, this tranche is rather a challenge than acknowledgement of the drastic reforms. The new memorandum clearly stipulates the government’s commitments as to the changes that will touch upon everyone in the country. Complete text is available online: the government and the Parliament need to hold the pension reform, monetize subsidies as well as to allow the sales of land. These are all topics that are sensitive to the Ukraine citizens and some politicians are actively speculating on that. Ukrainian film industry professionals united to form the Ukrainian Film Academy. The setup of the Academy was initiated by the Odesa International Film Festival. The aim was to get national filmmakers together as well as to promote development of the film production inside the country and to make it succeed in the international arena. The Ukrainian Film Academy started its active phase in early 2017. One of the first events it will hold is the National Film Awards ceremony “Zolota Dzyga” scheduled for April 20. The name of the award refers to the Soviet film director Dziga Vertov, whose acclaimed film “Man with a Movie Camera” considered to be the world classics, was filmed in Ukraine. “Zolota Dzyga” is to acknowledge achievements of the Ukrainian cinematography in 14 nominations including that of the best film director, best actor and actress, best feature, documentary and animation films. On April 9, Ukrainian boxers Oleksandr Usyk, Oleksandr Gvozdyk and Vasyl Lomachenko all recorded victories in the US state of Maryland. Gvozdyk and Lomachenko ended their fights early (in the third and ninth round respectively), Usyk boxed a whole of 12 rounds. Nevertheless, his victory was not less confident, judges’ decision was unanimous, his advantage over the adversary was undisputable. 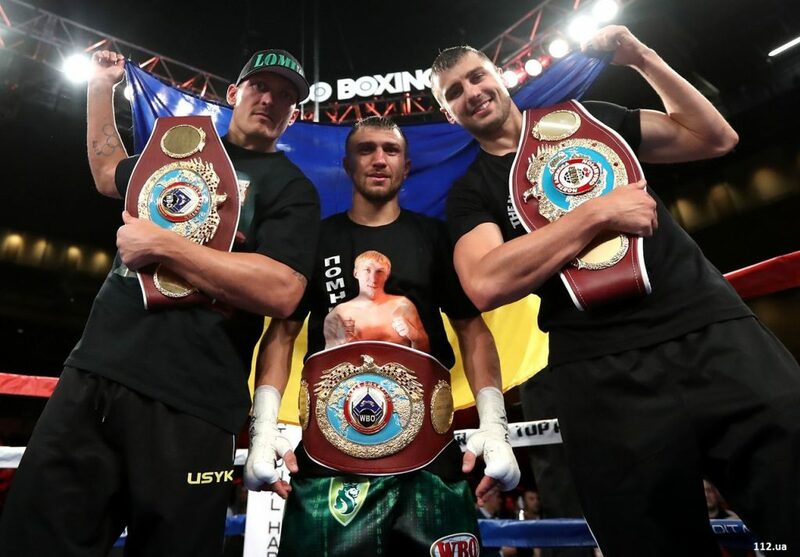 In such way, Ukrainian boxers retained their champion belts – Lomachenko his super featherweight belt and Usyk his cruiserweight belt according to the WBO version. Usyk has never been defeated at the professional ring, his service list includes 12 victories. 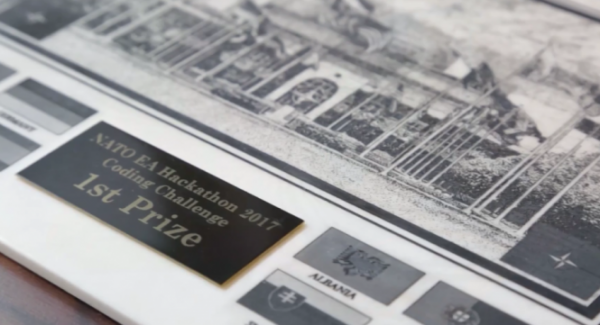 Six representatives of the military unit C4ISR Ukraine of the center of the Ukrainian Armed Forces won the contest Enterprise Architecture Hackathon-2017 in which NATO’s IT experts competed. Ukrainians won first prizes in two categories: coding and UN challenge. Ukraine took part in the competition for the first time being the only team representing a NATO partner country and the only team with a female participant. Ukrainian team turned to be the youngest among the 30 competitors by the age of its participants.